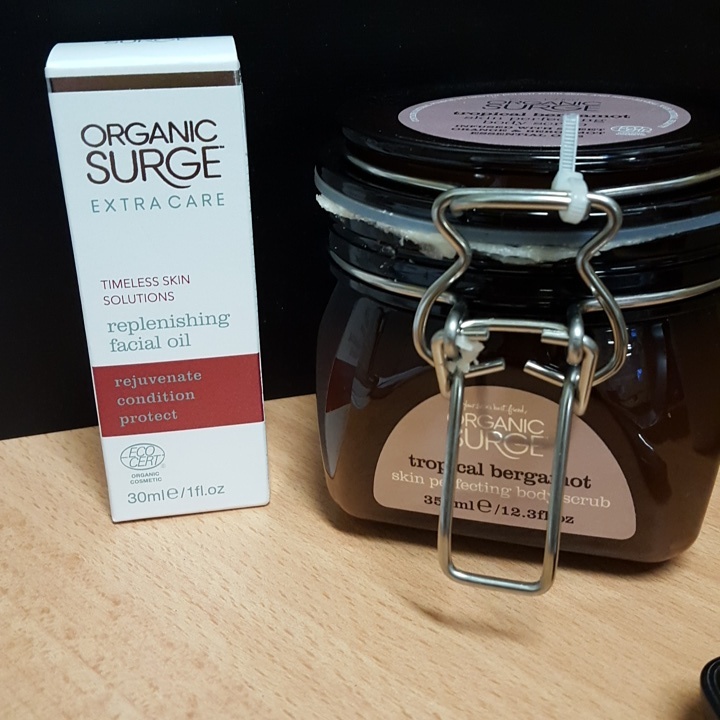 Organic Surge- New Affordable Organic Skincare Range! Organic Surge loves your skin, lavishing it with naturally-derived, intensely nourishing ingredients and deliciously fragrant essential oils. Organic Surge products are NOT tested on animals and are 100% free of harsh chemicals – no parabens, sodium lauryl sulphate, no artificial fragrances or colourants and no genetically modified ingredients. And the very soul of Organic Surge lies in its charitable donations and hands-on work spanning many years. 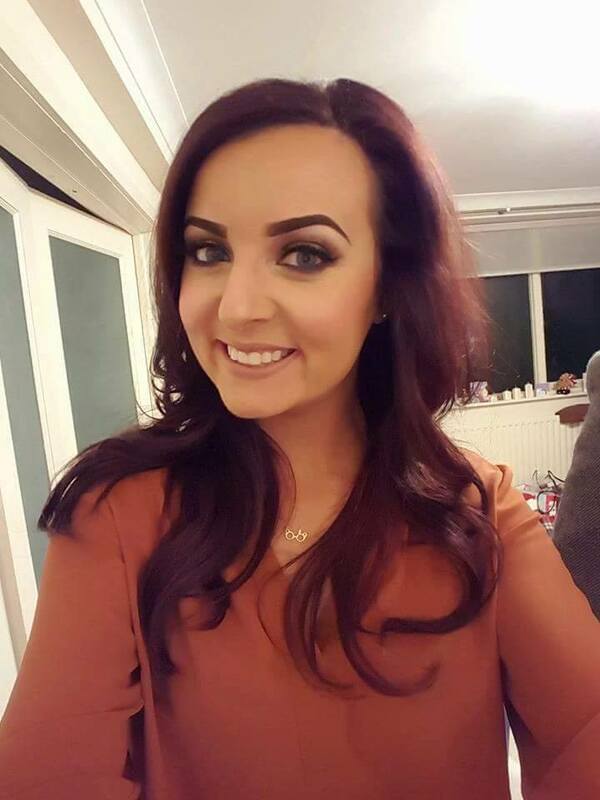 Here is a list of the products I have tried from this range and I will give you my thoughts on them. 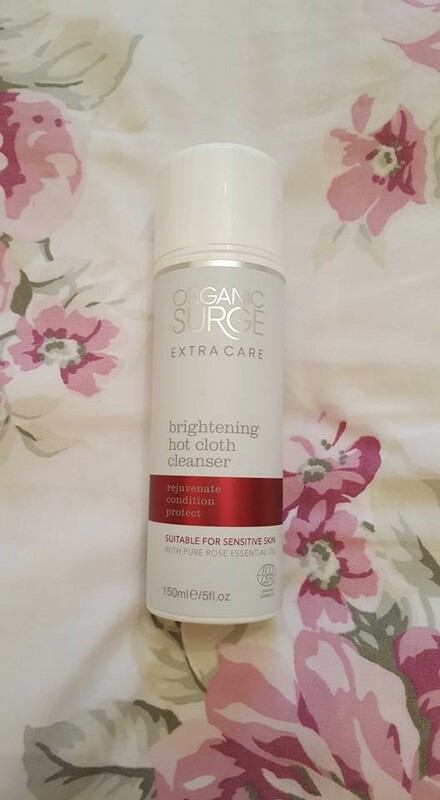 Organic Surge Brightening Hot Cloth Cleanser 150ml (rrp€18.99): Harnessing the highest quality essential oils and moisturisers, to care for, cleanse and fully rejuvenate skin, this cleanser gives a natural glow to the complexion and restores the natural balance. It is simply massaged over dry skin to loosen and dissolve everyday grime and then wiped away with a cloth and hot water. The massaging action will stimulate blood flow in the skin, giving a natural glow to the complexion, enhanced by the gentle exfoliation from use of a cloth in the cleansing regime. Enriched with Damask Rose Oil to stimulate and hydrate skin cells, Shea Butter to naturally moisturise and Orange Peel Oil to naturally rejuvenate the skin. I am starting with the best product..or is the second best? No I'm sticking with it being the best. So I love a bath, I usually have two a week one is usually the 'scrub' this is when I'm trying to get the left over of some tan off prepping for the fresh layer and then there's the pampering one. This is the one where I love to use this hot cloth cleanser. It's so nice on the skin, it feels like it's melting into my face, I lay back relax and let it pamper me. It's such a beautiful product I would really recommend this as a gift for someone for a lovely treat so deffo add this to the list. 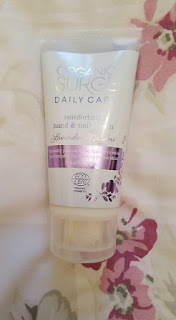 I was so thrilled when we took this home after the event, one thing to say about Organic Surge is the scent is unreal, it can be a little intense and not all the girls liked it as much as I did but it's deffo a scent I am into. Organic Surge Daily Care Refreshing Face Wash 200ml (rrp€7.99): A refreshing face wash that rinses away daily dirt and impurities, removing make-up on the face and around the eyes. The 100% natural lather and essential oils help to restore skin’s natural balance & clears a dull, sluggish complexion. Enriched with organic Rose Geranium Leaf Essential Oil and Aloe Vera to soothe skin irritation and redness. 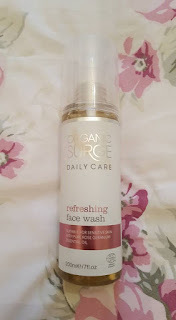 This is a great price point for a face wash at only €8 it's a huge tub so it will last you ages, its quite a jelly like consistency and sometimes will fall off my fingers so you have to learn the trick of rubbing it around your hands and then onto your face. Again the value really strikes me about this a 200ml bottle and you barely need the second pump to clean your whole face so it will last you ages. Great product. Organic Surge Blissful Daily Moisturiser 50ml (rrp€12.99): Blends natural hydrators, antioxidants and essential oils to sooth and rebalance oily and dry skin zones and maintain a healthy, smooth complexion. Created to love your skin with moisturising Sweet Almond Essential Oil, detoxifying Lemon Essential Oil and antioxidating Grape Seed Oil. 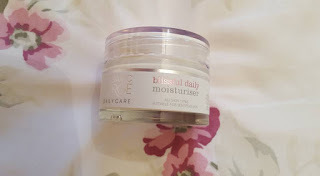 This natural daily moisturiser is uber hydrating, quick absorbing with a lightweight texture and feel. Renews and revitalises skin to leave it glowing with health. Ok ok we'll call this the second best product but I absolutely love it! I first saw this product being used by another blogger as a primer. Blossoming Beauty by Jan (@bbeauty_jan) on snapchat was using this as a primer so it was something I really wanted to try. There is a lot of talk about the nivea for men shaving balm which I have and I do use but this seemed like a prettier version to put on my skin. I was looking forward to no longer smelling like a man. Well as a primer I am still undecided but as a moisturiser I am loving it. I have been wearing it daily, the pot is almost empty and I think for me scent is such a huge thing it reminds me of summer and spring so it's really lovely and fresh on the face. I would 100% get this and the hot cloth cleanser as gifts for yourself or skin lovers. Organic Surge Tropical Bergamot Skin Perfecting Body Scrub 350ml (rrp€16.99): Tropical bergamot skin perfecting body scrub is our new and improved body scrub. Infused with fragrant Sweet Orange and Bergamot essential oils. Natural Pumice, combined with sunflower seed oil, gently polishes your skin to help reveal your natural beauty. All beautifully presented in a kilner jar, which when opened unleashes a delicious, uplifting natural fragrance. This is a spa in a jar! I do not lie ladies, this scrub is divine (I never use that word but it's an appropriate blogging word) I have scooped this out so often I'm getting fearful I'll come out empty handed soon. This jar has been one of the main features of the skin prepping for tan each week. 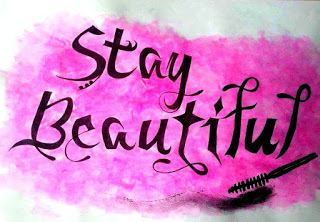 It is beautiful while it is a scrub it wont take your skin off it doesn't hurt at all and the softness of your skin afterwards is beautiful. I really really love this product. Anyone fancy a bath now?? Organic Surge Lavender Meadow Hand & Nail Cream 75ml (rrp€5.99): Has an intensive moisturising action and is quickly-absorbed to provide comfort and hydration. Enriched with organic Lavender and Geranium essential oils, and moisturising vitamin E, Shea Butter and Cocoa Butter, this hand cream works to prevent moisture loss leaving hands comforted and conditioned to combat dryness and irritation. Clinically proven to be suitable for sensitive and eczema prone skin. Hand cream.... I have a love/hate relationship with hand cream. There are days when I love to soak my hands and sit back and relax but with the constant need to be touching my phone checking snapchat and touching my face I find it really hard to always use hand cream. This little tube of loveliness now lives on my desk in work and I try to use it every day. I think me and hand cream will always struggle. So there we have it a look at some of the organic surge products I've been trying out. 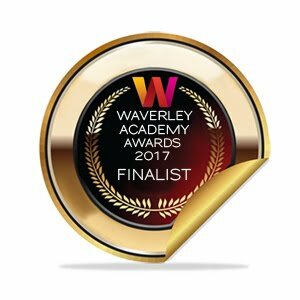 I have a replenishing facial oil I am using at the moment, I am little undecided on it at the minute as an oil can be hard to use. I am however using it in the night times and my skin is currently drinking it up so for now it's getting the thumbs up from me. A few of the girls got an oil control lotion at the launch and this is a product I'd be really interested in trying out so I will look into this when I finally start running low on something else, I mean I only have one face. Actually who am I kidding I say that now and then if I see the lotion somewhere I'll want to get it! I could probably sit and buy products all day every day haha! For anyone living in the south east I do know that the wonderful Castle Pharmacy have the Organic Surge range in stock so do check it out if you are around the area.